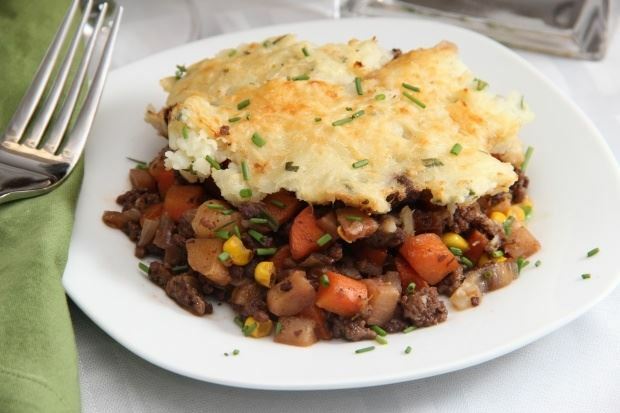 Gluten Free Home made Shepard's Pie - Underground Fitness Dun Laoghaire | Bray | Dublin & Wicklow - Personal Training, Group Training and Bootcamps. Gluten Free Home made Shepard’s Pie, an ideal and delicious dinner option for those of you which to cut down carbs and keep yourself in a fat burning state. In a large sauce pan heat the olive oil over medium heat. Add the meat and black pepper and cook for 10 to 15 minutes, stirring occasionally. Mix cauliflower with 1/8c coconut milk in blender and puree. Add remaining coconut milk to get desired consistency. Oil oven pan and add the meat & veggie mixture. Cover with the mashed cauliflower and bake for 20 minutes.